Deer mice share a very similar appearance to House mice except they have much larger eyes, ears and their fur varies in color. They are called Deer mice because they have a coat of fur that resembles a deer. Deer mice have two tones of fur; dark brown to black hair on the backside and white hair on the underside belly. They also have small feet, which are white and practically hairless. Their tails are long, multi colored and used for regulating their body heat. The Deer mouse averages 7 inches in length and 21 grams in weight. Deer mice prefer natural nests but will also create oval shaped nests with shredded plants, twigs, leafs, rocks and other natural debris. Deer mice are uncommon in urban and residential areas, unless there are parks or fields surrounding the homes. 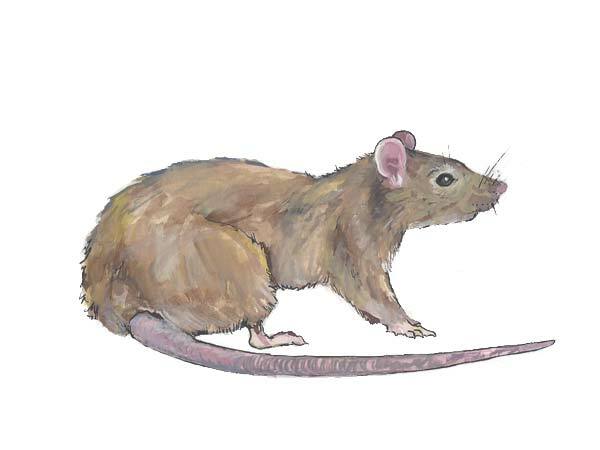 The Deer mouse dwells in a wide variety of environments from open fields to dense forests. The Deer mouse is the most widely distributed mammal in the America, but prefer thick wooded and brush landscape. Deer mice are nocturnal and spend most their day sleeping in their nests. Deer mice are omnivores, feeding mostly on a variety of seeds and grains. They prefer to eat acorns, nuts and flower seeds. They will also eat fungi, insects and fruits. Deer mice will commonly hoard food inside their nests, especially during the winter months when food is not readily available. Deer mice carry a deadly and incurable disease called hantavirus pulmonary syndrome. Humans can catch the disease by inhaling airborne particles of urine and feces left behind from Deer mice. Illness from hantavirus pulmonary syndrome can take up to six weeks to show up. Symptoms include chills, abdominal pain, dizziness, vomiting, shortness of breath and coughing. If contact is made with Deer mice it is advised to contact a doctor or hospital. Other diseases carried by Deer mice are bubonic plague, salmonella, gastroenteritis, murine typhus, leptospirosis and tapeworms. Female Deer mice reproduce up to 4-6 litters each year consisting of 5-10 pups. The size of the litter increases each time she gives birth until the 5th or 6th litter. Deer mice can reproduce when they are just 35 days old. During the breeding season the female Deer mouse will go into heat every 4 or 5 days until she is pregnant. After conception, new pups arrive in just 21-24 days. Mating pairs will stick together throughout the breeding season or unless one of them perishes. Under good conditions an adult Deer mouse can live up to one year old. Strange noises such as scratching and scurrying can be heard during the evening hours if a Deer mouse infestation is present in a home or business. Deer mice may seem adorable but they are much more harmful than they appear. When Deer mice gain access to residential homes they can cause a substantial amount of damage. If a home is infested with Deer mice, one might notice shredded papers, torn clothing or frayed mattresses. Deer mice will tear apart many personal items when making their nests. Like House mice, Deer mice will urinate and leave behind droppings once inside a home or business. Deer mice will also tear up gardens, uproot plants and destroy crops. Deer mice are grain lovers. All stored food products including animal feed should be stored in rodent proof containers. Deer mice are terrific climbers and commonly enter cabins or homes through chimneys or roof pipes. Excluding all possible entries is the best option for preventing Deer mice infestations. Seal up cracks around the foundation and make sure all screens are tight fitting. Deer mice can squeeze through openings the size of a dime so all openings ¼ inch or larger should be tightly sealed off. Sanitation is extremely important to prevent Deer mice infestations. Keep garbage sealed in tight fitting containers and keep the outside perimeter free from clutter. Clear crucial nesting areas from the outside perimeter including thick brush, hedges, weeds and log piles. Dont delay! If you see mice, call us today for a free consultation. Cloud Termite and Pest Control services Sarasota mice control, Siesta Key mice control, Longboat Key mice control, Gulf Gate mice control, Lido Key mice control and surrounding areas.